The “orbit” type of photography is commonly used in real estate shots. It is also used to shoot “before” shots for insurance companies. The “orbit” type of shot is used to show off a building or location so that the viewer can see it from all sides. The search grid is used to assure that every part of the area in methodically covered in the video or still photos. This technique is often used in agricultural projects and sometimes used in law enforcement and other projects. Many search grid projects use special cameras to obtain thermal images. Sometimes both normal images and thermal images are used for comparison and find trouble spots. Thermal images can show areas where crops have been infested by grubs, fungi or some other infestation. The Fire department can use a drone to see where fire code violations exist such as properties where brush and under-growth has not been properly cleared. Law enforcement can use drones to spot illegal crops. If you are planning to do search grids, we need to consider how long each project will be. Remember, you may have limited flight time to take the videos. A good overview shot can help greatly in planning a landscaping or construction project. The same overviews are re-shot to quickly show progress on the project. An overview shot where the camera shows a particular scene as the camera pulls back can be very dramatic, too. This type of shot, called a selfie, can be a great way to show off the bride, groom and the entire wedding party and even get the venue in the final frame. Please be careful not to fly over crowds or a stadium. Flying over crowds may be illegal in your area. Selfie shots need to be planned. You need to be sure that you end the selfie shot with the drone still within the range of the controller. A follow shot is used to follow an object of interest. Usually this means the camera follows a person, but sometimes the camera will follow a race car or something similar. The person being followed may be a suspect being chased by law enforcement, a sports figure or any interesting person. Remember to watch the clock. Don’t let the battery run out at a critical point in your project. I heard that one was doing a follow-me and his drone battery died and dropped the drone in a creek. I don’t know if he was able to salvage it or not. Sometimes the photographer wants to show how certain landscape features fit together, or simply record a beautiful scene. Such shots often require a little more altitude than normal eye level. Bringing the camera up to 20 or 30 feet will allow the camera to see over brush and under-growth to get a better picture or get some needed perspective. News reporters need to be careful not get in the way of firefighters or police. Also, please remember that drones are not allowed in national parks. Whether you are a professional aerial photographer or a hobbyist who likes to shoot professional-grade aerial photographs, buying a high performance camera drone is a substantial investment. What kind of high-performance drone-rig features you need depends on your purpose and how you are planning to use it. Checkout out our planning checklist to help you select a professional-grade camera drone. DJI Phantom 4. This is the most popular drone on the market. Read our review. It is well suited to almost all amateur needs and most professional needs. This copter provides a most stable platform for videography. Its ability to enter a flight plan allows you to visually plan your flight path, overlay waypoints onto a visual map of your flight area. Typhoon Q500 4K RTF Quadcopter.The Q500 4K RTF Quadcopter is one of our top picks for high-performance camera drone under $800. Read our review on Typhoon Q500 4K RTF Quadcopter. It is a professional grade quadcopter with an integrated 3-axis anti-vibration CGO3 gimbal. The Typhoon Q500 comes factory-assembled, already test-flown, it is ready to fly and shoot videography out of the box. 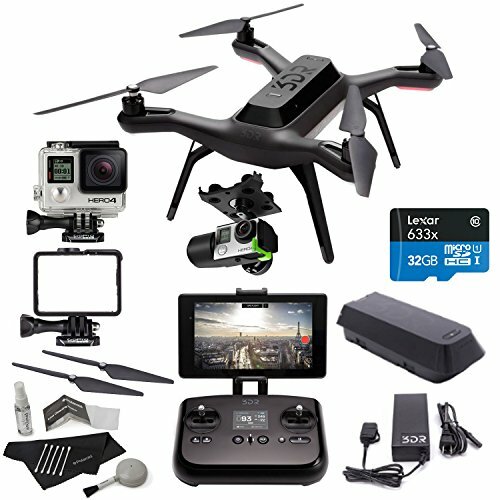 The Q500 is a tech gift more than $500 but it is one of the most complete drone bundle you can get for the money. We also like the ST10+ personal ground station – a 10-channel 2.4GHz RC transmitter that supports a 5.8GHz video downlink delivering streaming video to the built-in screen. Another great feature of the Q500 is the modularity of the SteadyGrip handheld device – it extends the perspective from the sky to the ground with CGO3 mobile app. The Q500 comes packaged in its own rugged lightweight-aluminum transport case. This is one of the best buys to capture 4K from aerial and ground for your professional projects or personal vacation shoots. 3DR Solo. If you already have your own GoPro or Hero 3, 3+ or 4, this copter may be just right for you. Read our review. 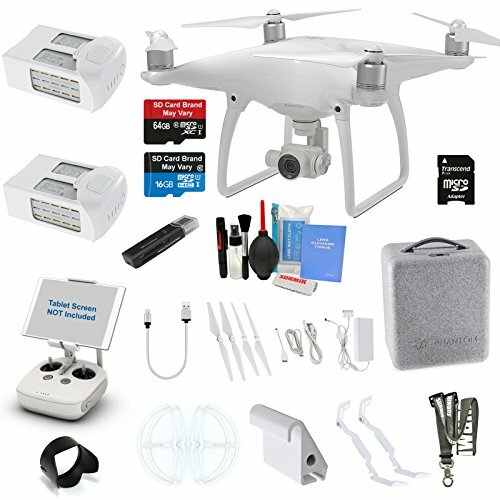 This quadcopter has all of the features needed by almost all amateur needs and most professional photographers. This quadcopter has orbit and selfie modes and is slightly less expensive than similar quadcopters. 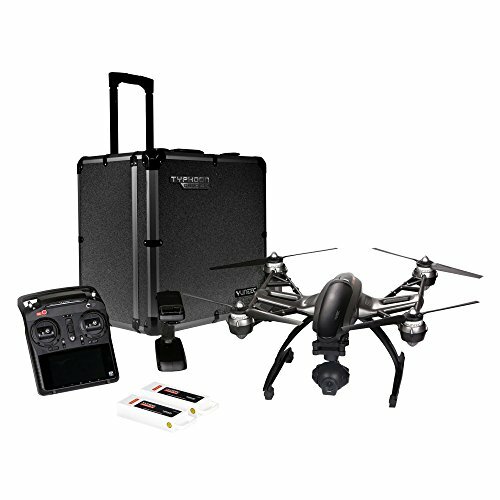 This quadcopter is especially suited for people shooting events (such as weddings, family reunions and back yard games) and real estate agents shooting videos of properties.